The storm that dumped snow along the East Coast this weekend propelled the tide at Rehoboth Beach in Delaware to smash over dunes. At nearby Lewes, the tide nearly set a new record. The preliminary data from a NOAA gauge at Lewes Breakwater Harbor indicates that the Saturday high tide was 9.15 feet as of 1 p.m.–or just a fraction below the 9.22 feet recorded in 1962 during the March Storm. “That’s the most water I’ve ever seen,” longtime Lewes resident Cliff Diver, who lives on the beach side of the city, told The News Journal. “It’s worst than Sandy,” said John Hoyt, also of Lewes. Officials were concerned about the impact of more possible snow and a higher tide into Saturday night and Sunday morning, although the forecast was much more muted. The flooding came from the high tide but Winter Storm Jonas also dumped plenty of snow inland, causing an odd mix in places. In Rehoboth, the ocean swept over dunes at the north end of the boardwalk and topped a dune at the Star of the Sea condominiums south of Rehoboth. Photos from the Cape Gazette showed waves smashing into the boardwalk itself, and leaving fences twisted. 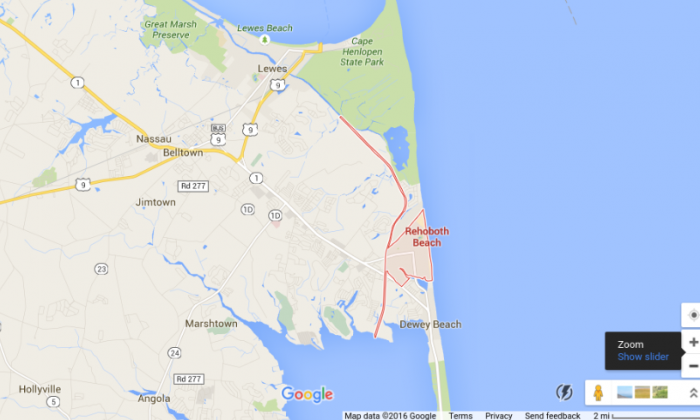 State House Speaker Peter C. Schwartzkopf, D-Rehoboth Beach, said, “I don’t know that I’ve ever seen it that high” on Rehoboth Bay.